Who can see User Content: Any User Content that you voluntarily disclose for posting to the Service becomes available to the public and cannot be removed, except by Boom Boom Sportfishing Services in its sole discretion. 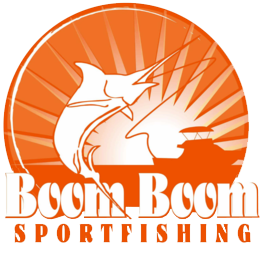 Once posted on Boom Boom Sportfishing Services, User Content may not be removable from public view, as copies may remain viewable in cached and archived pages of the Service, on other sites that have republished us, or if other Users have copied or saved that information. If you do not wish your User Content to be available to the public, please don’t post it on Boom Boom Sportfishing Services. Your username and if you choose to disclose it, your real name, will be published publicly. Once published your username and / or real name may not be able to be removed. Who can see your IP address: If you post User Content on the Service while not logged in, your IP address will be published with your User Content in order to attribute your contribution to the Service. A selection of Trusted Users with administrative powers on Boom Boom Sportfishing Services have the ability to review IP addresses of users to reduce abusive behavior. Any third party service embedded on Boom Boom Sportfishing Services such as an advertiser, video provider, social network or other third party will also have access to your IP address. Who can see your email address: If you enter an email address, you will enable communication from Boom Boom Sportfishing Services and other Users. If you reply to users or participate in group Boom Boom Sportfishing Services activities such as meetups, your email address will be shared with these users. In addition, some email addresses such as [email protected] Floods Restoration Services.com forward to a group of Trusted Users, who will use your email address to reply to the email.